The times we live in have already been marked with some amazing and unexpected technological advancements. The internet has never been more integrated into our everyday lives. With the rise of the Internet of Things, just about anything you can image can become a smart phone enabled smart device. It was only a matter of time before the ultimate human dream came to life – to be able to fly. It might come as a surprise, but drones have been around for more than a hundred years. It was Nicola Tesla all the way back in 1898 that surprised the public by presenting the first radio-controlled unmanned vehicle – a drone boat. Even since then, it was mostly the military that pushed the UAV technology forward. Finally, in 2010. the Parrot AR Drone was introduced, a commercial, smartphone-controlled consumer drone. 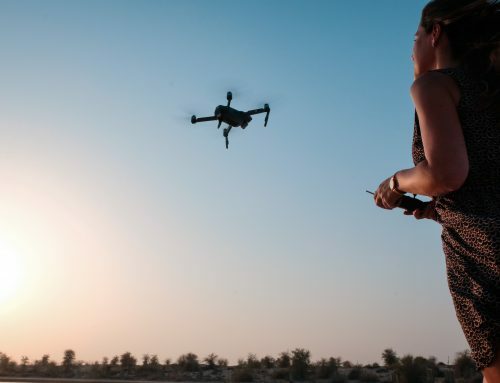 If you’re a beginner drone pilot, or you’re just considering the prospect of becoming one, we’ve prepared this drone guide where you’ll learn everything you need to know to get started with drones. There are many technical terms for drones including quadcopters, multi-rotors, RPAa and UAVs. A basic definition would be a Remote-Controlled (RC) Unmanned Aerial Vehicle (UAV). The key characteristic of most commercial drones is that they are propelled by rotors, most commonly four of them, thus the name Quadcopter. Nano – These can be as small as a few millimeters and can fit into a hand palm. These tiny drones cannot carry cameras or other accessories. Mini – Ranging in size from 10 – 12cm (4 – 12”), Mini drones can have small cameras and other sensors can mounted on them. These toy drones are commonly used among beginner pilots for training. Medium – These are quadcopter drones you see most often. They can carry advanced camera and stabilization systems, among other equipment. Sized between 35 – 65cm (1 – 2ft) they carry large enough batteries and antennas for prolonged flight times and large distance remote control. Large – These are usually octocopters (eight sets of rotors), commonly used for heavy cargo lifting and transport. Drone Applications – Where are drones used? There is a lot more to drones than just recreational flying. 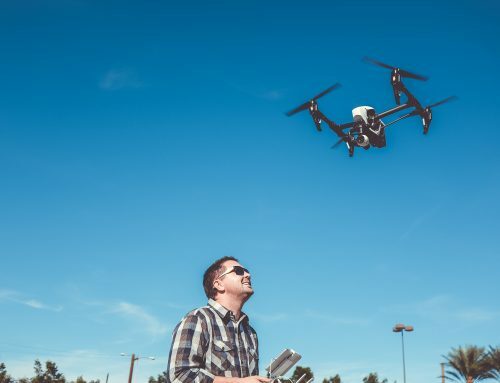 Depending on the type, quadcopter can be a versatile tool and an asset in a variety of industrial and business applications. 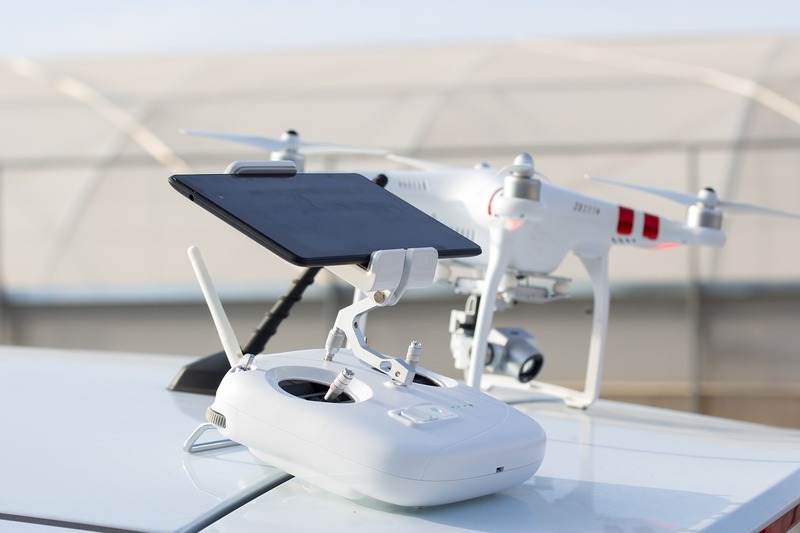 For a more in depth look at some of drone applications in some of these industries, take a look at our post about 2018 Drone Business Applications. Drone capabilities – What can drones do? 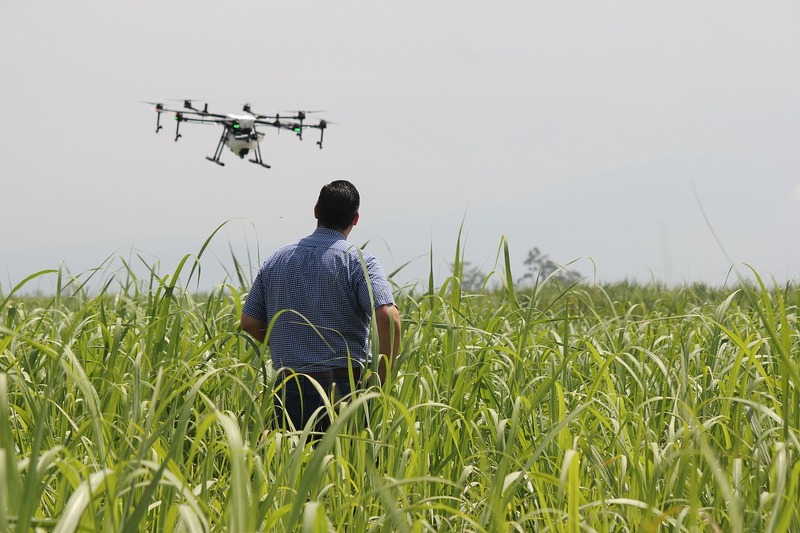 RTF Drones – Ready to Fly. 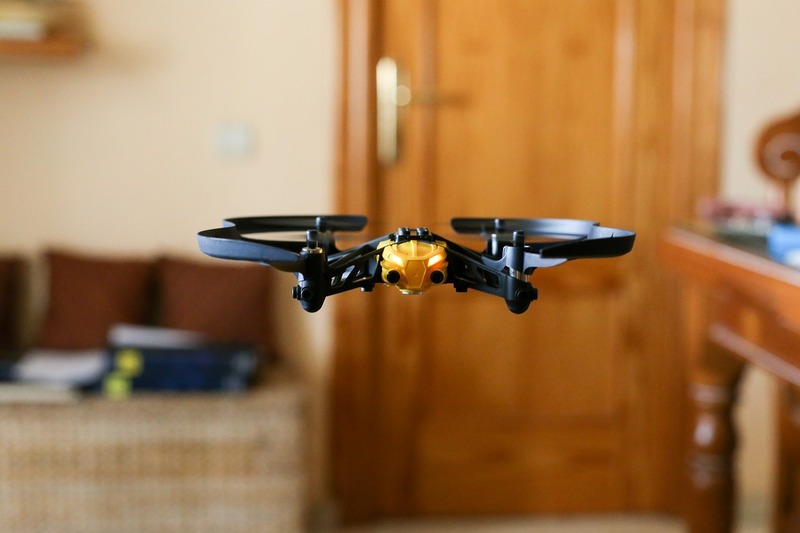 As the name suggests, when you buy an RTF drone you’ll be able to fly it out-of-the-box. 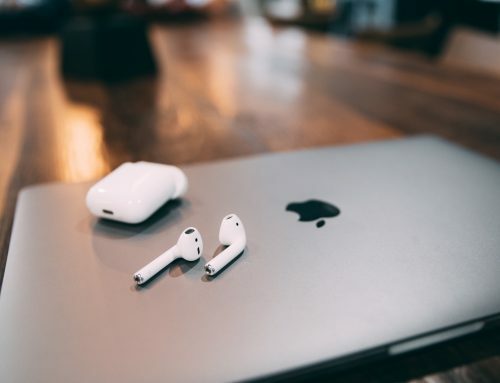 It has got its own remote-control transmitter (either dedicated or via smartphone/tablet) and comes with batteries (you’ll need to insert them first). BNF Drones – Bind and Fly. This package contains the drone, and maybe some spare parts, but not an RC. So, you either need to build a controller yourself, or buy one separately, and then bind it to the drone. ARF – Almost Ready to Fly. This kit is intended for enthusiasts who wish to assemble the drone themselves. You get all the parts, but you do the work of putting them together. DIY – Do It Yourself. DIY drone enthusiasts have been building and flying drones long before they were popular. Even today, a lot of pilots prefer to build their own drones which gives them the liberty of further customization. 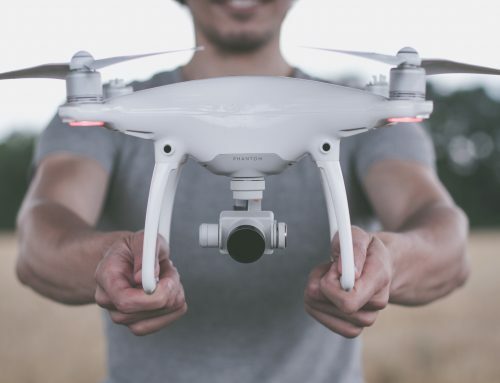 Buying a drone – How to choose the right one? Now that you’ve got some ideas about drones and what they can do, you might be thinking of buying one yourself. 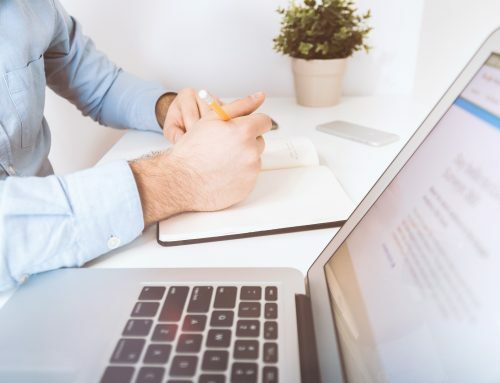 You might find this task a bit overwhelming, consider the sheer amount of drone classes, types and different brands that offer them. Don’t worry, we’ll help you with that too. To keep things simple, we’ll be talking about RTF quadcopter drones only. In case you just want to have some fun, fly in your backyard or nearby field, you should consider one of the nano or small toy drones. They are very compact, easy to use, durable and most importantly – cheap. If you crash it, it won’t leave a big dent in your wallet, so these are also great for flight training before moving onto a more serious drone. 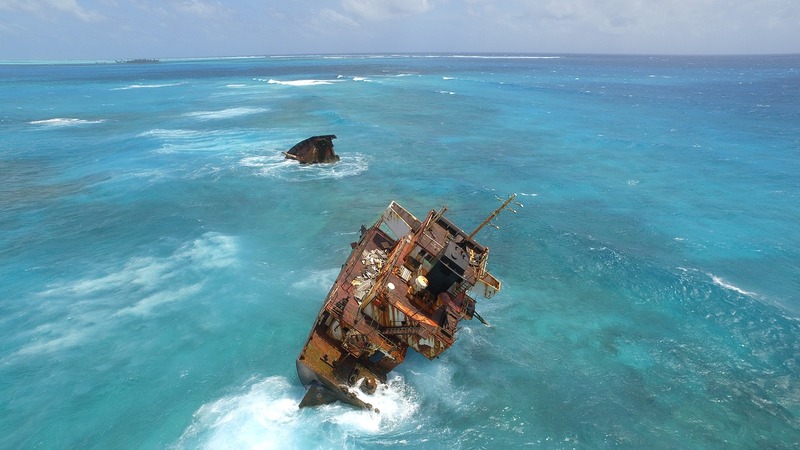 Probably the main reason drones have gotten so popular lately are cameras. Camera drones usually fall into the medium drone form factor and represent the largest segment of the quadcopter market. People love to record videos and take pictures, so drones flying with cameras and taking aerial photos is a winning combination. 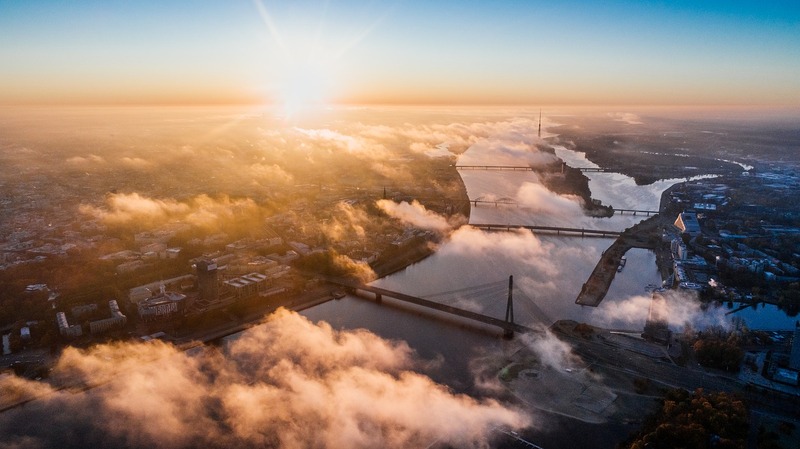 Be it recording your kids playing in backyard, taking an aerial family selfie, recording your kayaking trip down the river or capturing a nearby landscape during sunset, options are limitless once you have a camera drone. Drones are heavily utilized today in creating commercials and professional filmmaking. You don’t need a helicopter anymore to capture the bird-eye perspective for your video. High-end consumer drones are capable of silk-smooth 4K video, interchangeable cameras and lens and highly effective mechanical and optical stabilization systems. Racing quadcopters are fast and agile and recommended only for experienced and skilled pilots. They may or may not have a camera or an FPV system. Drones are super fun, and useful, but they can be very dangerous as well. 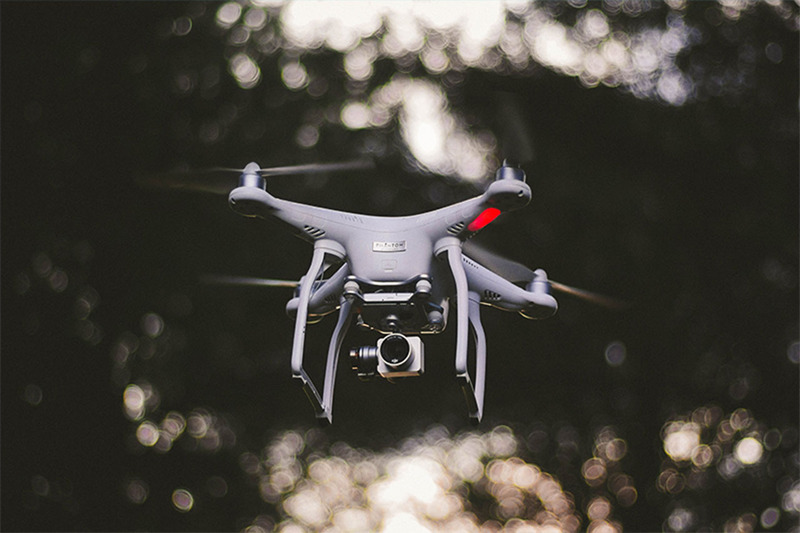 There is always a risk of a drone crashing or smashing into objects or people, this includes not only crashing on the ground but also aerial collisions with helicopters, airplanes or other drones. Than there is also a matter of spying and privacy. You should be aware that people might not appreciate a drone flying over their heads with a camera. That’s why in the recent years the governments have introduced a series of new laws and regulation for drone pilots. In the US, unless you’re flying a toy drone, you are required by law to register as a drone pilot with the FAA. Most countries forbid flying drones over public areas such as city parks. Its best to fly away from people and urban centers unless you know what you’re doing and you have a proper permit. 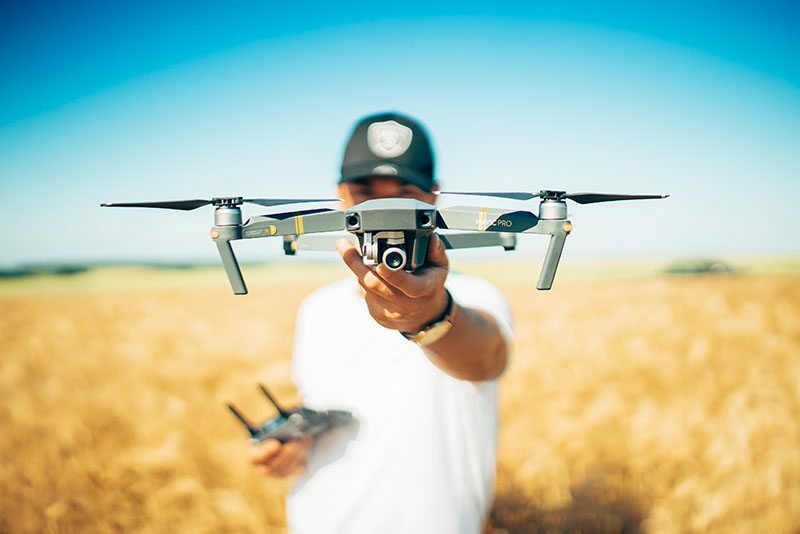 That about covers all the basic information you’re going to need to get started with drones, whether you’re just looking for a new hobby or you’re interested in drone business applications. If you do decide to get yourself a drone, fly safe and have fun! Drone License 101: Do I Need a License to Fly a Drone?